It seems that once you enter adulthood, the pomp and flair surrounding Halloween decreases dramatically. Costumes are more low-key, trick-or-treating isn’t a thing anymore and even the Halloween movies don’t live up to It’s the Great Pumpkin Charlie Brown. Not to say there aren’t fun fall activities to enjoy in DuPage County and seemingly endless supplies of fun-sized candy bars in your office or in the clubhouse, but it’s just not the same. Even though there is a shift in how we perceive Halloween, you can still dress up to celebrate the day! Whether you want to add a little fun to your workday or stop by a Halloween Party, below are some last-minute Halloween costume ideas that are easy to recognize, and even easier to execute. You don’t have to be a web developer to recognize a 404 error. Replace “website” with the word “costume” on a shirt, and voila, a very recognizable and “to the minute” costume. Find a solid colored t-shirt and iron on letters at a local craft store such as Joann Fabric on route 59 in Naperville which is located near your apartment. Love it or hate it, everyone can recognize a can of La Croix. Find a tie-dye dress or shirt in fantastic pastel shades and get to work. Are you a sunny shade of orange tangerine? Maybe a mélange of pink and fuchsia berry? Or, are you a traditional sparkling water enthusiast, and want to rock the blue for “Pure”. The only real work for this costume is tracing “La Croix” on the front in blue marker and getting that sweet 90’s typeface “just so”. Grab a large piece of foam core head over to your local print store for this easy costume. Frame your face as your “profile pic”, and add in as many or as few details as you wish? Going for that “vintage” feel, bring MySpace. Use colored cellophane (available at your local craft store) as a “filter” and voila, you’re now an Instagram post! Are you single this Halloween? Are you comfortable being single this Halloween? If so, try this no-work, cringingly punny costume: A Loan. Get it? Alone…. Crickets…. You can go about this one of two ways: 1. You can hand out loose change all night, and when people ask “what are you?”, you can respond “A Loan”, and take the change back. 2. 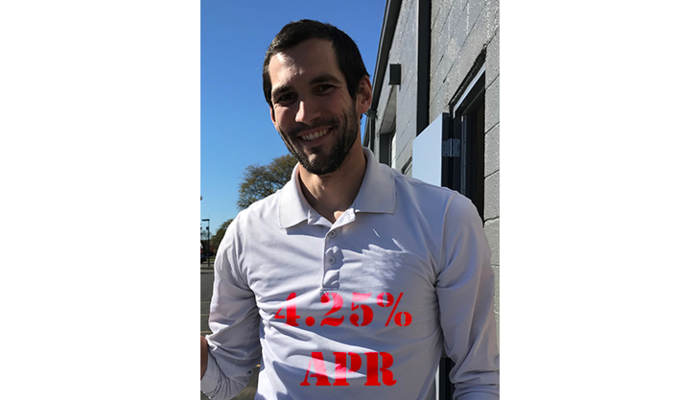 You can also write out the current APR on the back of a plain t-shirt. The possibilities are endless!